Stephen King has nothing on bed bugs. If the award-winning author of such well-known horror stories as “Carrie” and “The Shining” decided to pen a book on these blood-sucking pests, he may have another best-seller on his hands. From cruise ships to police cars to movie theater seats to incubators in neonatal intensive care units, bed bugs have proven themselves adaptable and inventive on the locations they choose to infest. As is the case with all pests, the cost to eradicate them once they establish themselves in a home or business is far higher than preventive measures. Do you think it was easy to eradicate bed bugs from a CT scanner in a hospital or the aforementioned incubator in the NICU? 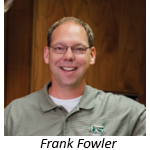 Frank Fowler, vice president of McNeely Pest Control in Winston-Salem, N.C., encountered just such a challenging situation when he was called to a local hospital to inspect a CT machine that was reported to have a bed bug infestation. “Once we confirmed they were in fact bed bugs, we had to decide on a course of action,” says Fowler. Fowler says the case was unusual since patients were not sleeping in the room and that bed bugs usually do not crawl deep inside hard-surfaced machines or furniture unlike they would bedding, an article of clothing or a mattress. “The bed bugs were being brought into the CT room by patients and we had a case where bed bugs were crawling out of a patient’s sleeve while they were checking in for the appointment,” adds Fowler. What was the solution? Fowler designed a program that included deploying bed bug interceptor traps, vacuuming, spot heat treatments and wiping down the machine and treating it and surrounding area, including cracks and crevices, with a disinfectant and insecticide that kills a variety of insects, including bed bugs. Fowler says they have seen a rise in bed bug incidents among first responders and home health care professionals. “Both professions come in close contact to both people and the areas where people reside and where bed bugs are known to infest,” says Fowler. An EMT or visiting nurse will set their bags or clothing down in infested areas of a home or apartment, and bed bugs will hitch a ride back to the firehouse or to the next in-home visit. 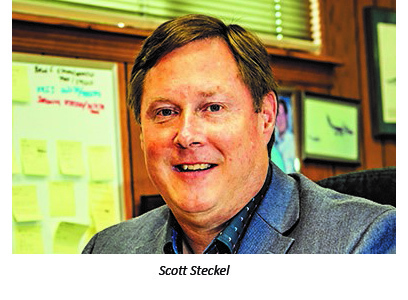 Columbus, Ohio-based Scott Steckel, strategic development director for Plunkett’s Pest Control, says in addition to first-responders and home health care workers, they have seen an uptick in bed bug infestations in the homes of educators, especially those working in grade schools. “Bed bugs know no economic or social status and can threaten any school and its teachers and students,” says Steckel. Steckel says they are sensitive to the stigma associated with bed bugs and they meet regularly with teachers and staff to share information on how they can help stop the spread of bed bugs through early detection and prevention. Jeremiah Riopel, multi-housing director for Plunkett’s in Minneapolis, says the rise in bed bug infestations in office buildings has presented several unique challenges for his crews. Bed bugs had infested an area of the ninth floor offices of a downtown Minneapolis consulting firm and Plunkett’s crews performed a canine inspection and heat treatment. When the bed bugs popped up in another area they did a targeted pesticide application but the problem persisted. The firm agreed to allow Plunkett’s to hold informational meetings with employees but they were instructed not to say a thing about the possibility of employees bringing bed bugs in. Multiple meetings were held in a single day and when they were done, the firm’s HR representative informed Plunkett’s that several employees, after attending the meetings, confessed, confidentially, that they did in fact have bed bugs in their homes. Plunkett’s treated the employees’ homes and the problem was solved. The lesson learned, according to Riopel, was to work the problem from all angles vs. letting the problem work you. “Managing bed bugs is not an overnight process and it takes not only technical expertise but also educating clients on their role,” says Riopel.